I was born just before the 1980s (shhhh, don't tell! ), but I started reading and loving books in the middle of kindergarten. I think back to my small private elementary school and our weekly trips to the library. It was such a welcoming and cozy space with carpet, tables, and shelf after shelf of books to transport us into worlds we could only imagine. 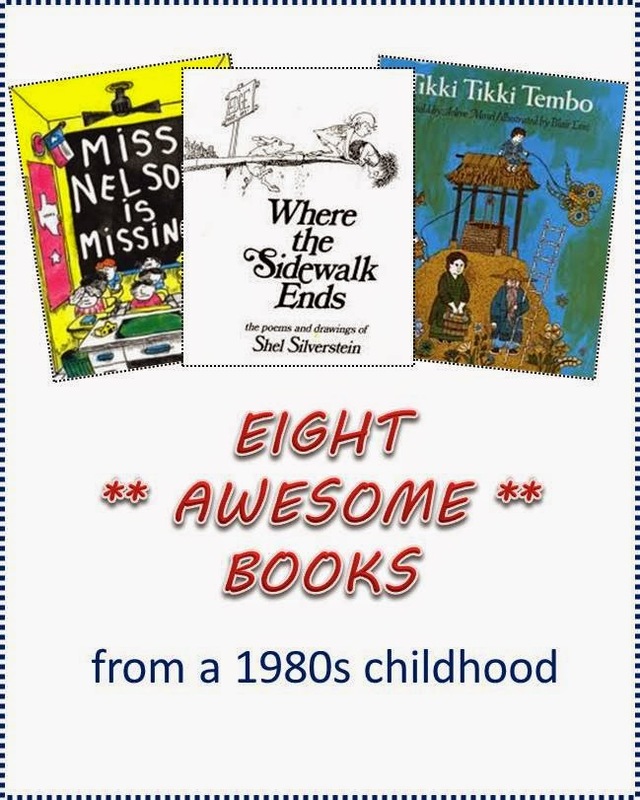 Do you remember some of your favorite books as a kid? I absolutely do. There were a few that I read over and over again and checked out more than a few times. These are the books I want to find again and share with my children. #1 - 3 -- Shel Silverstein books. Enough said. Where The Sidewalk Ends, A Light In the Attic, and The Giving Tree are beloved classics. I especially liked Silverstein's silly poetry. #4 -- Miss Nelson Is Missing. I may have first seen this book on the TV show Reading Rainbow. It is the top-of-mind funny school mystery that I will always remember. #5 - Tiki Tiki Tembo. Kids enjoy big words, and few words are bigger than this boy's name: Tikki Tikki Tembo-no Sa Rembo-chari Bari Ruchi-pip Peri Pembo. The story is a Chinese myth and incredibly fun to read aloud! #7 - Caps For Sale. Another one that has been around for a long time, over fifty years. There's just something about those mischievous monkeys! #8 - Make Way For Ducklings. Timeless and lovely illustrations. I wanted to cuddle those sweet baby ducks (Jack, Kack, Lack, Nack, Ouack, Pack, and Quack) so badly!